Everyone on this earth has jumped on to the NYX train recently (including myself!). I had heard of them before but they never really jumped out at me but, thanks to incredible marketing everyone is now longing for their stuff and to be honest, i’m happy for them. I was a little slower in doing anything nyx related but, i feel like that’s okay because good things come to those who wait, right??? It’s a powder you apply after your foundation or alone. It mattifies your skin and just gives you a flawless looking finish. It’s meant to leave your skin looking ‘radiant and luminous’ and looking great all day long. The translucent powder is also meant to be great for oily skin as the silica absorbs excess oils. My first impressions of this nyx translucent powder were ones of excitement. I had never really used anything like this before and I was really eager to try it out. I knew it was translucent, of course I did but it was a little surprise to think that it was actually white powder that I would be applying to my face, naturally anyone that hadn’t used something like this before surely would think the same? On the bottom of the jar it does answer the ‘why is it white’ query by explaining it’s a miracle in a jar and that it is essentially ‘colorless’ and perfect for all skin tones. Makeup done it was time to put this finishing powder to the test. Would it make me scary white? would i look chalky? what even is silica? I of course shoved my nose in straight away to get whiff of this so called miracle product and well, firstly don’t do it because you get a white nose and if you’re trying to impress it doesn’t look great and two, it doesn’t smell too amazing. I cannot explain the smell but, it’s not something you would boast about. The hd studio finishing powder makes your skin so soft. I’m not talking ‘oh silky’ i’m talking pure, jesus has blessed your skin soft. I couldn’t stop stroking my face (try to avoid doing that). I also (thankfully) didn’t notice any chalkiness which is something i was terrified about. It was translucent and did matify my skin. It kept my t-zone from getting oily which is something I usually suffer from and it did keep my foundation matte for the time I was out and about. I really loved what this translucent powder did to my makeup and although it probably didn’t make a huge difference to those around me, I did notice a difference myself and after all if you’re wearing makeup to please other people you will never be content. There’s not anything ‘ugly’ about it, I just wanted to please myself and put in the title. There is however a few little cons about this nyx translucent powder that i need to address. I am not sure about anyone else but the packaging isn’t something I would die for. It’s cute and all and I do like it being in a jar but every time I open it I feel like I am part of a skilled operation and every part of me trembles. I do lose a tiny bit of the powder every time I use it but, perhaps everyone is not like me! I feel like if i screw the lid on to tight it will be stuck like that way forever. If you don’t own the finishing powder next time you’re in a store where they sell nyx please just unscrew the tester and tighten it again, you will see what I mean! Although I did love the actual product (like really loved it) I am a little concerned for men and women with darker skin tones. I know it states it’s perfect for any skin tone and we shouldn’t doubt claims made by the wonderful nyx but, i fear it could get a little chalky looking. If you are dark skinned or know anyone who has used it and is dark skinned please let me know what its like so I can either keep or remove this nasty allegation! 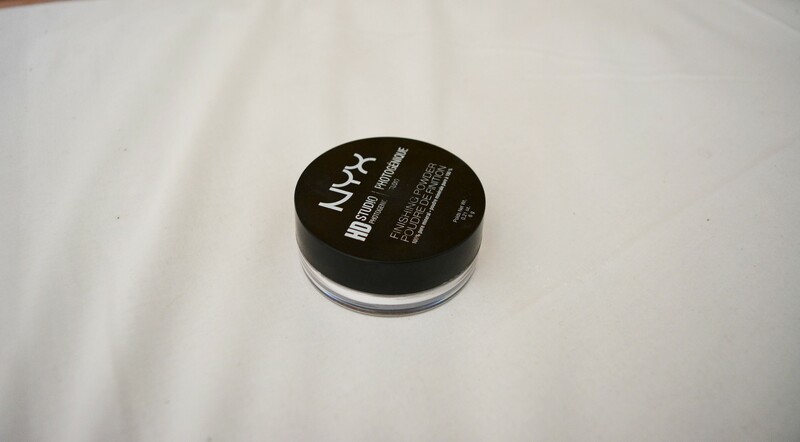 Overall, I do really love this nyx translucent finishing powder. It keeps my skin matte, it keeps my oily T-zone under control, it makes me foundation look flawless and it’s pretty cheap considering how little you actually need to use. I don’t like the packagaing (sorry sorry sorry) the jar just needs something to help me keep my nerves at bay and I am a little tiny bit concerned for any dark skinned women (or men!). The packaging is such a tiny issue and I will re-buy this product again and again. It’s a huge thumbs up from to nyx and if you’re looking for something that keeps you matte but doesn’t make you look like a ghost and something that keeps your makeup in place this squeaky jar of translucent powder is for you. Which Herbal Tea For What Mood?